Homesteader Profile: Amber is a wife and full-time employee in the working world. She is the also the author behind Pixie’s Pocket. Amber lives in a rental property on less than 1 acre (gardening zone 6b). For my first three years of life, I lived with my parents in an old sharecroppers’ house in the country, without running water. We used a wood stove and I was toilet-trained with an outhouse. We then moved to the suburbs where I got to see some of the pleasures of city life, but I always missed my cow and deer friends in the country. Always being an avid reader, it was only a matter of time before I discovered the Little House on the Prairie books and decided I wanted to know all of the skills that the Ingalls family knew! I now live in a rental with my husband, Eric, a kitty (Akasha) and puppy (Sandy). Rental living don’t stop me from homesteading. I plant native medicinals, I use the ditch weeds and plants that come up wild, and cultivate foods in containers. I tend to pot a lot of plants since the yard was neglected for so long. Thankfully my landlord doesn’t mind my “meddling” with the yard. We have a few young apple trees and a Muscadine vine that we planted last fall. My husband and I had a few hens that were in sort of a pitiful state when we nabbed them off Craigslist. They recovered and provided some lovely eggs for a few years. Once we rebuild the coop, we hope to get some more. I dream of goats and bee hives and a flock of happy hens when I become a homeowner. In a further effort to keep things simple, I make our bread from scratch and booted most processed food out of the cabinets. I buy whole chickens and cut them down for multiple meals. I am a big advocate of not wasting food, money, or energy unnecessarily! When I have an overabundance of any given food, I’ll see what I can make from it and how to preserve it. My goal is to try and leave the ecosystem in as good if not better shape than when I got there. Just GO FOR IT! It doesn’t matter if you don’t have acreage. Put a few pots of soil on your patio and try to grow some herbs or food. Every effort is worthwhile, and there’s no time like now! I would like to know as how much a small goat cost if you don’t mind sharing with me. I love goats so much and hope we will be allow to keep as a pet of the garden. Thanks and sorry to bother you ok.
Love your adventure. My husband and I bought 5 acres upon retirement. We raise a big garden. Have a big berry patch and have chickens. We always lived in city while we worked a job. But always no matter how small the lot we gardened. And planted minature fruit trees. Keep up the good work. We love reading all young people adventures in homesteading. 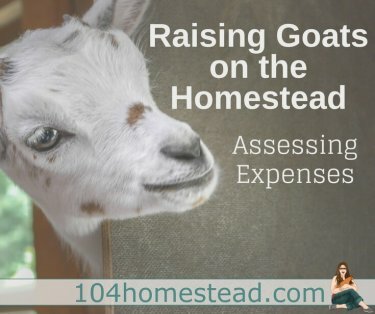 Any tips on how to find a homestead for lease or lease purchase? I don’t know if any websites other than CL but would love to lease until I can buy my dream piece of land. Absolutely love your vibe and energy. So great to read about your success and wonderful use of our Mother Earth….. I am proud to call you my dear, sweet, creative, loving cousin! I love Pixie’s Pocket! So nice to get to know you a little better, Amber. <3 I have so many of the same ideals. The pleasure is all mine. I get so inspired by what others are doing.